Whether you’re downsizing your home, looking for a secure location to store your valuables, or just need to rent a moving truck, call West Side Storage & Truck Rental. 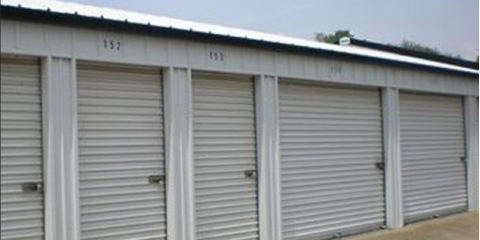 This company offers several secure storage options for individuals and businesses alike, with very affordable rates and an attention to excellent customer service - an element that makes them one of Cincinnati’s most trusted storage facilities. Enjoy around-the-clock, easy access to your belongings with one of their self-storage units, each of which is thoroughly cleaned and inspected before your move-in. For important documents, antiques, or other sensitive items, reserve one of their climate-controlled units, which are kept between 65 and 78 degrees, with added ventilation to preserve your valuables even during long-term storage. West Side Storage & Truck Rental takes the safety of your possessions very seriously, so they provide 24-hour, state-of-the-art, actively-monitored security systems, with regular inspections performed daily. You can relax, knowing that your possessions are secure. To move your things, they also maintain a selection of safe, modern 14-ft. trucks for rent, with automatic transmissions and air conditioning. Whether you’ve moving in or out, their easy and affordable truck rentals make this a one-stop shop for all your storage needs.’ Visit West Side Storage & Truck Rental online or call (513) 451-6474 now to reserve an affordable storage space in a facility you can trust.